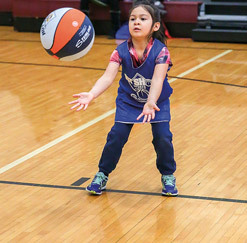 The Des Plaines Park District strives to offer a wide range of enjoyable and lively athletic programs for its community. Whether you are looking for a beginner sports class or looking to build on your current skills we have a program to fit your needs. Programs are offered throughout the year. Our sport offerings are for both boys and girls. Each class will emphasize safety, development, and self-confidence. If the program you are interested in is not being offered, let us know and we will look to add it in the future. Below you will find the athletic programs we offer for Youth, ages 5-8. So come join us and experience what the Des Plaines Park District is all about!